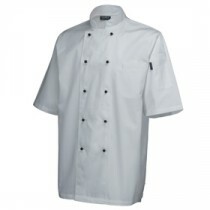 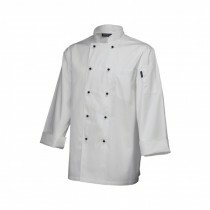 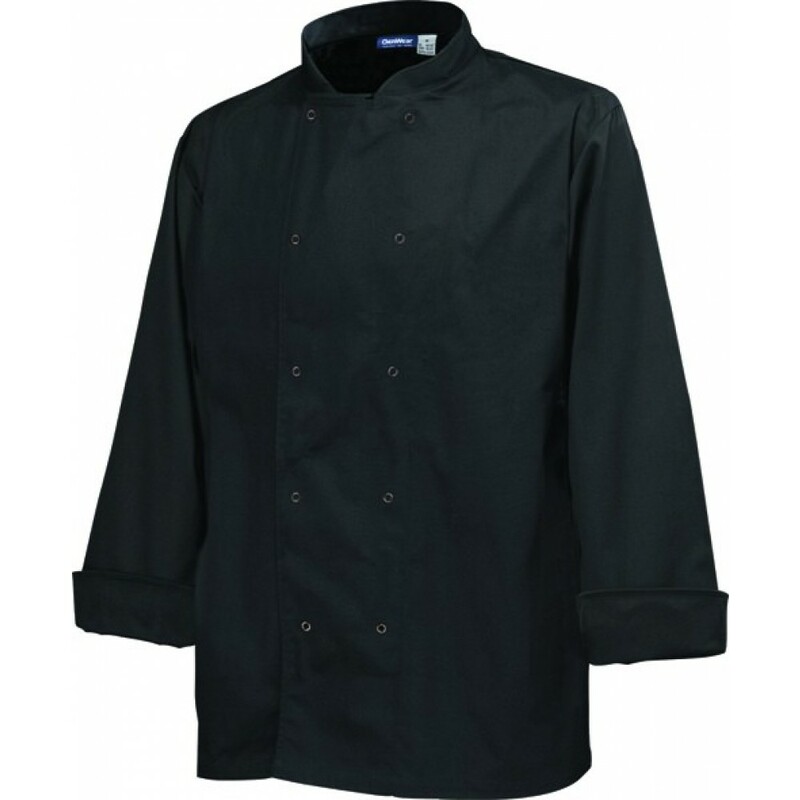 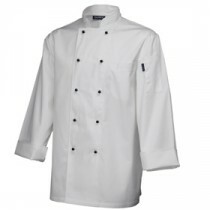 This Black Genware Basic Stud Chef Jacket Long Sleeve L 44"-46" provides a durable, comfortable and stylish piece of clothing ideal for the tough conditions of the professional kitchen. 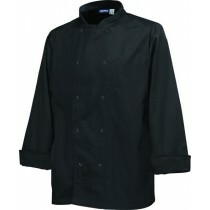 This jacket provides real value for money without compromising wearability. 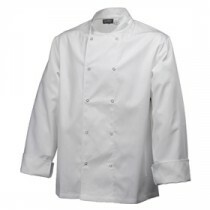 Genware Superior Chef Jacket Long Sleeve White S 36"-38"